Kendall Jenner, like the rest of the Kardashian family, is a household name. 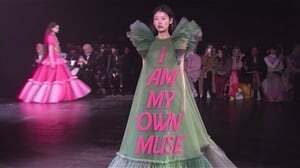 Her life is pretty public and it seems as if she’s mostly used to dealing with the pressure that comes with being famous. But as much as the fame has brought her almost everything in life that money can buy, the downside of it often means that there is very little to almost no privacy. 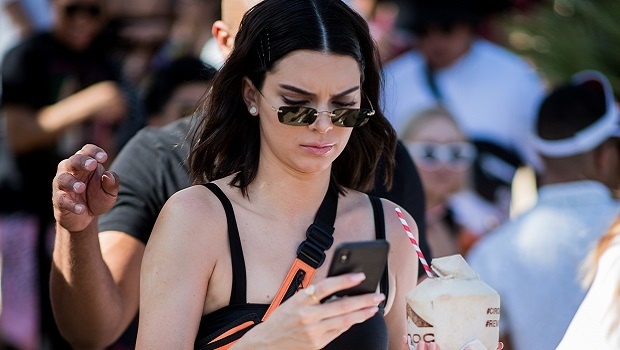 Many celebrities know and acknowledge that – in fact, Kendall herself does – but that doesn’t mean it’s a tacit sign of consent that we can invade their privacy anyway. As fans we do appreciate and love when they provide us with glimpses of the more intimate moments in their lives, but what we also need to understand is that as much as we have boundaries in life, so do they. Teen Vogue reports that Kendall recently called TMZ out for publishing satellite shots of her home in a story which ironically is about how her alleged stalker managed to bypass security and get into her home. In her tweet she says that she realised that she signed up for celebdom, but that doesn’t mean she shouldn’t have to deal with not feeling safe in her own home. A TMZ spokesperson has since responded and said that they were merely reporting on the stalker and didn’t actually reveal her location, Buzzfeed reports. However, many people seem to feel differently because the video clip may be brief but shows images of a home that could easily be recognisable to people if they searched hard enough. And many folk on Twitter seem to agree. tmz: a STALKER showed up at KENDALL JENNERS HOUSE???? here’s the PHOTOS and LOCATION so you can show up too!!! The problem here is that many think that just because Kendall is part of a family where oversharing is the name of the game, it doesn’t allow herany form of privacy. And what’s sad is that she shouldn’t have to start with the caveat that says “she knows she signed up for it” – like it’s a foregone conclusion that privacy is something that she should sacrifice because of her fame and wealth. And the victim blaming behind the narrative that she’s famous so she should have known this would happen is horrifying. She shouldn’t have to move to feel safer. Your home is your haven. Where can Kendall go if she can’t even feel comfortable in her own home? READ MORE: Why are we blaming Ariana Grande for Mac Miller’s death? It's incidents like this that often make celebs less inclined to share more of their lives with us. Just a while back Kylie Jenner stopped posting pics of Stormi because she wasn’t feeling comfortable with the public having that much access to her. She seems to have changed her mind about it though (which she’s totally entitled to obviously). We’re often all a little guilty of treating celebrities like they’re commodities, forgetting sometimes that behind the glamorous image is a person who has real needs and fears just like we do. Most importantly, we all have a little something in our lives we consider a safe space. And Kendall certainly should be able to feel like her home is a sanctuary away from the glaring spotlight.